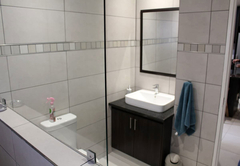 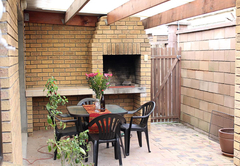 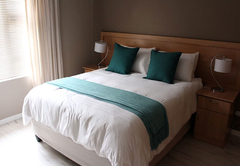 DCS Kleinbron is a property providing self catering in Durbanville for up to 4 guests visiting the Northern Suburbs region. 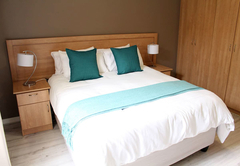 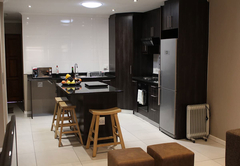 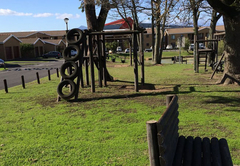 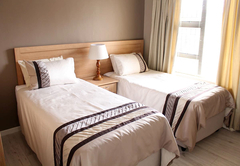 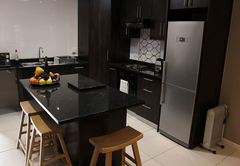 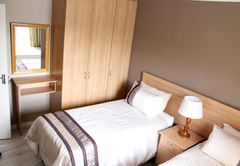 Situated in a secure estate in Durbanville, DCS Kleinbron offers self catering accommodation for four guests in a modern, ground floor apartment. 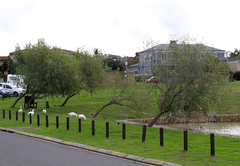 The estate is conveniently located within walking distance from Cape Gate Shopping Centre and the Cape Gate Private Hospital. 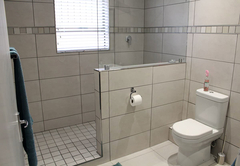 This spacious apartment has two bedrooms and one bathroom. 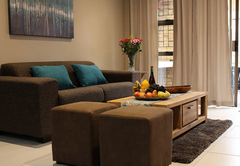 The lounge area features a TV with DStv Hospitality package and free fibre Wi-Fi is available for guests to use. 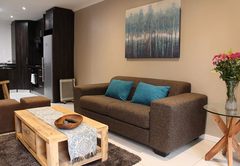 The living area opens onto a spacious undercover entertainment area which has a built-in braai and outdoor furniture. 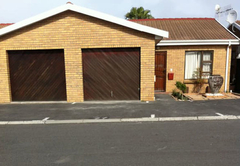 Secure parking is provided in a single garage and there is additional parking in front of the unit. 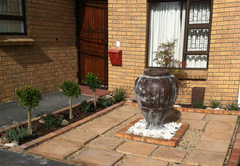 The estate features 24 hour security, with patrols, cameras and electric fencing. 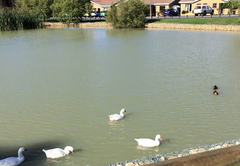 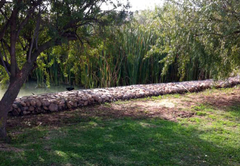 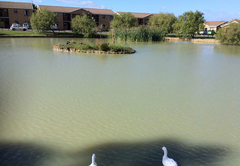 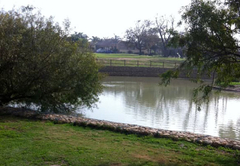 This unit is situated right next to a dam which is teeming with ducks and bird life. 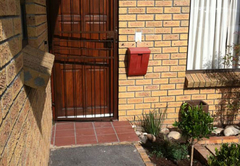 Response timeDCS Kleinbron typically responds to requests in 5-10 minutes.